Italian School Drawing of St. Gerome, circa 18th Cent. Red wash ink on laid paper. Frame size 20" x 13". Dutch School Drawing, late 18th C.
8 3/4" x 6 3/4" bearing collector's stamp Pen and inkwash on laid paper. American Ashcan School painter, 1871-1951, a member of ''The Eight'', a group of American artists. Etching titled ''Man Monkey'', 1905, probably Greenwich Village or the Lower East Side, 1 0f 100, signed in pencil, very good condition. Image size 6-1/2''x4-1/2'', Frame size 13-1/2''x17-1/2''. We accept time payments and quantity discounts. ** WE GUARANTEE THE AUTHENTICITY OF OUR MERCHANDISE AS REPRESENTED. 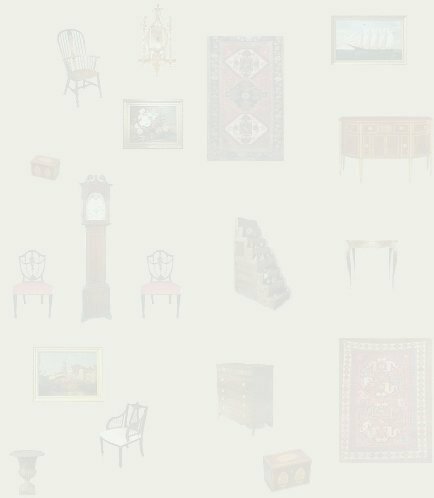 MEMBERS OF: THE ANTIQUES COUNCIL, THE CAPE COD ANTIQUE DEALERS ASSOCIATION (CCADA). Ink wash and gouache on toned paper, retaining a partial inscription on the reverse: “original sketch...de San Filippo”. Brown ink on laid paper, approx. 9" x 11 7/8"--signed verso: "J. Cootwyk, fecit"--the artist is listed in Benezit as an engraver and jeweler. Currently unframed. Black charcoal and ink on laid paper, having unknown early collector's stamp. Provenance: Salanter/O'Reilly Gallery, NYC. Lamentation. Approx. 9" x 10 3/4"
Image size, 5 1/4" x 8"--brown ink wash on laid paper. Note repaired tear in middle of work visible in my image. Red conte crayon on paper. with black chalk studies on the reverse. Ink wash on paper with a painted border. Conte crayon on paper, signed and dated: “1969” and titled, signed: “Richard Schmid, Gaylordsville, Conn” and stamped copyright “Richard Schmid 1969” on reverse of original backing paper. Frame Size: 13.5" x 18"
Born in Providence, Rhode Island, Southwick studied abroad in Paris at the Académie Julian, and also traveled abroad to Berlin. Graphite with ink wash on laid paper. "Homeward from the Glimpse of Green" from Charles Dickens' "Miscellaneous Papers"
Pen and ink on paper, signed. Smith was an Illustrator and figure artist. He contributed to leading periodicals, including "Punch", and did book illustrations. Charcoal on paper, signed lower right.